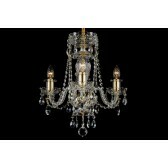 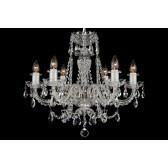 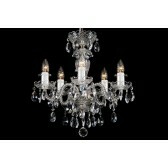 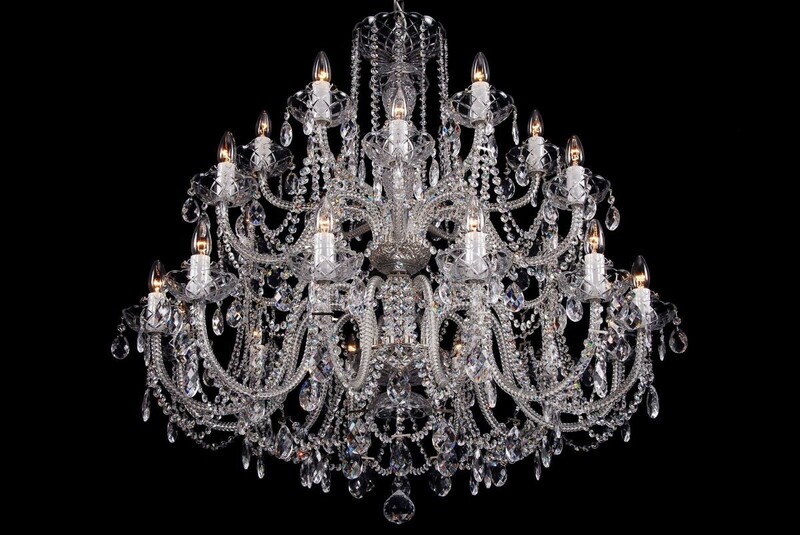 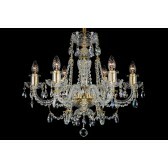 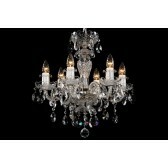 A 24-arm neutral crystal chandelier decorated with silver coloured metal. 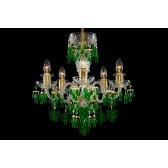 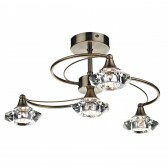 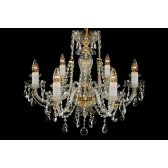 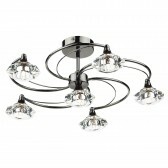 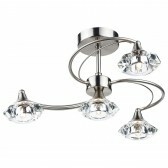 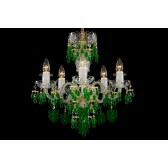 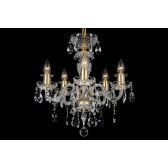 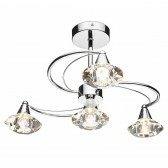 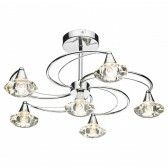 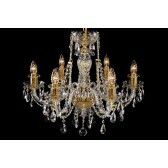 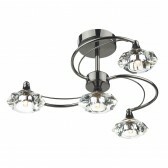 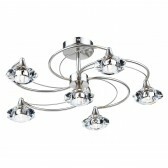 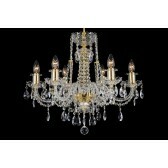 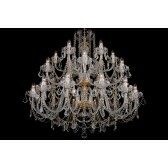 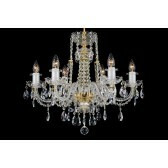 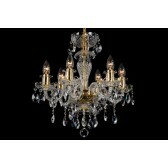 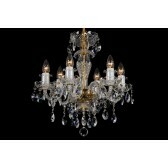 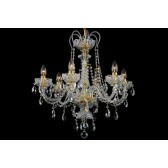 This chandelier is able to illuminate spacious interiors, stylish bars, ballrooms and other large spaces. 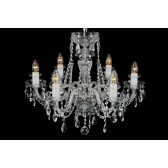 The combination of clear crystal with silver coloured metal does not require you to change the colour of your interior. 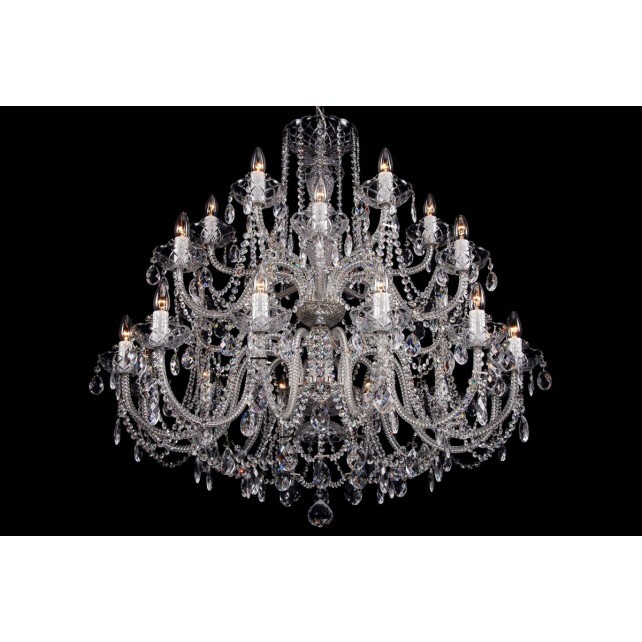 In order to hang the chandelier successfully, the ceiling has to be 3.5 metres high and the load capacity of the ceiling needs to be at least 65 kg. 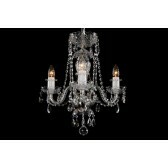 This chandelier can be combined with the largest chandeliers of the same design or complemented by crystal wall lamps of the same colour.